So, I really enjoy Geek and Sundry's The Pull, and I've wanted to do something similar for awhile, and thus The Skinny was born! 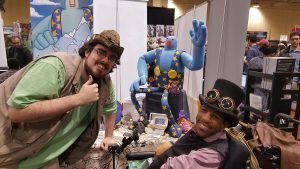 As you may know, I went the Toronto Comic Con back in March, where I met a lot of really cool people! Among these, I met some awesomely talented, indie comic artists. 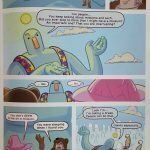 This is how I connected with Aaron Lenk, who is the homegrown, Canadian creator of “The Last Giant”, a fantasy, all ages comic. 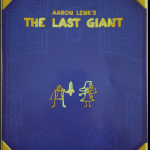 “The Last Giant” is a simple, funny, yet captivating tale about two would-be heroes that are on a quest to defeat the last a ginormous being who happens to be the last of his kind. 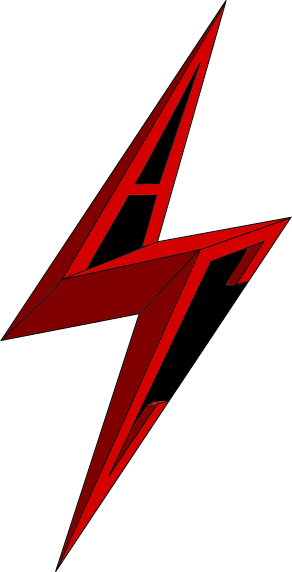 Aaron’s unique and interesting art helps pull me into the story and I was transported into the Last Giant’s world just like any other of the books I've enjoyed.